In the spirit of Thanksgiving, we should all give great honor to this photo. 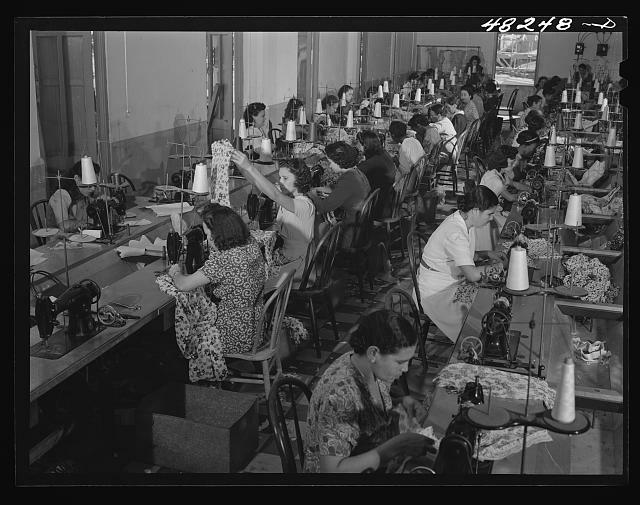 These are the women who worked in sweatshops for 20 cents an hour, 8 dollars a week…both on the island, and in the sweatshops of New York. These are the women who raised entire families with the sweat of their brow, their belief in God, and their hope for a better tomorrow. These are the women who made our Puerto Rican community possible. I know this for a fact…because my mother was one of them. Today we thank them, for their lifetime of sacrifice. My mother was one also until she lost 95% of her sight. Then, she would work from home where she was sent the merchandise. We, as young as we were, had to help with the work production. “Puerto Ricans are hard-working people” …. there’s no doubt about that! !